Sorry this was late. Blogger was acting up! 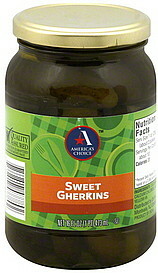 What do you think of Sweet Gherkins? They're really good, personally.